Whether you embrace it or try to restrict it, the bring your own device (BYOD) trend is not only unstoppable but looks set to change the hardware landscape in the enterprise world permanently. On the face of it the BYOD headaches for customers – including hardware choices, security and management – are a list of opportunities for resellers. Ask the great and the good in the channel what they think the channel should be pitching and there are plenty of answers. Start with security. It is one of the first things that customers will think of when they come to think about the consequences of BYOD. Allowing more flexible access to the network and data is not something that sits easily with most administrators and for most it’s the data protection aspect that causes them to block adoption of people bringing their own kit into work. Terry Greer-King, UK managing director at Check Point, spells out a three-step process companies should undertake to secure corporate IT in the face of the BYOD trend: Audit, amnesty, and adding security. “Firstly, companies need to find out exactly what devices are being used to handle corporate data with the audit and VARs can help with this,” said Greer-King. “Then they tell the users of those devices they’ve got a week to bring the device in to have security added, at the ‘amnesty’ stage. “Finally, IT teams should add security to the devices, using solutions from the VAR. But there remain other considerations, such as the need to encrypt data on every device and deploy remote-lock and -wipe capability. The security extends beyond the hardware, with implications for the network. Resellers should exploit the chance to engage customers about constructing policies embracing a great deal more than just the protection around the device. “It’s not just malware and the threat of hackers and cyber criminals that pose a problem nowadays,” says Andy Jacques, general manager UK, at Good Technology. “Social media sites accessed via mobile devices can introduce previously unforeseen risks, as well as clicking on malware-infected apps or links. Users also create their own risks and phones that get lost and devices that get stolen, broken or simply dropped pose the greatest security risk to businesses. “Ultimately it’s a question of control when allowing employees to use their own devices for work. Resellers need to advise customers on the best approach to ensure personal mobile devices are as safe as those owned and controlled by the company. As well as security, there are also opportunities on the management side and resellers will have the opportunity to pitch products that can help administrators control an ever widening hardware estate. Vineet Jain, CEO of Egnyte, says that, once the management side of the equation is dealt with, customers can take advantage of the flexibility and savings BYOD can offer. “To effectively implement a BYOD strategy, you need a combination of mobile device management solution, mobile application management solution and/or a mobile file management solution,” Jain says. Owen Cole, EMEA vice-president at ExtraHop Networks, says that, although BYOD offers many advantages, they come with challenges – the main one being to monitor and manage many devices remotely. “Organisations will need to adjust how they manage devices and applications to accommodate BYOD and cannot rely on management or monitoring software installed on client devices because of a lack of access to the device and the growing variety of device types,” says Cole. Cole argues that sticking with traditional tools is not an option for most customers. “Resellers should look for new approaches to monitoring performance that do not rely on software agents installed on client devices,” says Cole. The phrase used by Kevin Bland, channel director UK, Ireland and South Africa at Citrix, is “follow-me-data”. He advises resellers to sell a solution that focuses on protecting and optimising information. “Any BYOD offering must also take into account the ‘follow-me-data’ trend. As more employees sign up to online data storage services with little hesitation, businesses will need solutions that are agile, flexible and secure. The challenge for resellers will be to offer solutions that allow the user enough flexibility to access up-to-date data and associated applications as and when needed, without the IT department relinquishing control of how and where the data is stored,” he adds. There are other options as well with Adam Davison, vice-president of EMEA at Exinda, flying the flag for WAN optimisation. “For resellers, the BYOD trend has become something they need to have a solution set for, and I don’t just mean mobile device management and security. I am also talking about WAN optimisation, or more specifically an application performance assurance solution,” says Davison. “Next-generation WAN optimisation and application performance assurance solutions allow organisations to see, control, accelerate and optimise traffic on the network. There also needs to be a mention of the actual phones themselves with Daniel Fuller-Smith, sales manager for Toshiba’s Business Communications Division, points out there are some opportunities for the channel there as well. “Resellers can appeal to an increasing BYOD culture with a range of recommendations. For example, a fixed mobile convergence service can be presented for employees to use their smartphone as an extension of an existing telephone system,” he says. “Resellers should study the inner workings of a company to provide them with real life examples of how this can benefit them during their day-to-day operation. “The BYOD trend gives today’s resellers a range of opportunities to both educate and sell. Aside from the chance to sell security and management tools, the other key element of any BYOD pitch should include the benefits of allowing greater workforce flexibility in the first place. According to a recent survey carried out by Dell SonicWALL and YouGov, 21% of senior decision makers in large companies cite productivity advantages and 43 per cent cited increased job satisfaction as key benefits of BYOD. “BYOD can be a business enabler, making businesses more agile, productive and competitive. The key lies in educating staff and using the right technology,” says Florian Malecki, Dell SonicWALL EMEA senior product marketing manager. The BYOD horse has well and truly bolted but many organisations are still frightened about the consequences and trying to lock down staff. Resellers face a tremendous opportunity to provide an answer to these problems. Armed with knowledge about security and the right management tools, they can take a customer through the minefield and into a position where they can reap the positive benefits of allowing staff to bring their own devices to work. To differentiate their BYOD offering from that of competitors, resellers should provide an end-to-end, value added solution that allows businesses to consumerise existing IT offerings for their staff. 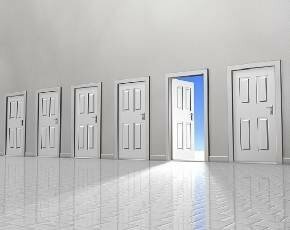 “This will involve meeting demand for different devices with a variety of options for users to choose from, as well as acting as trusted advisors through the identification of the business’ needs and requirements, platform and architecture definition and subsequent roll-out,” concludes Bland at Citrix.